Pretty bow-shaped earrings with a perfect-round AAA grade cultured pearl featured in the center. 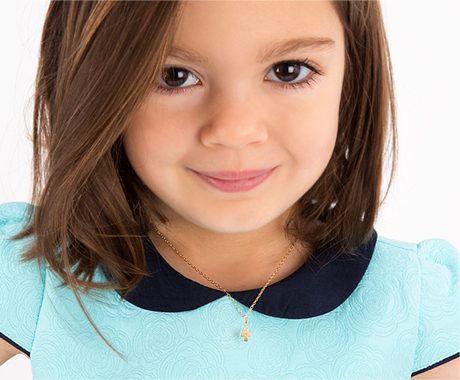 Made with solid 14k gold, they are safe and hypoallergenic for sensitive ears, perfect for children. Choose her pair in 14k yellow gold, 14k white gold, or 14k rose gold.